W10 is a postcode covering the area of Ladbroke Grove. It neighbours on Kensal Green in the North, East Acton in the West, Notting Hill in the South and Maida Vale in the West. It very much combines the characters of it's neighbours. Just over 60% of the local residents describe themselves as associate professionals, professionals, managers or directors. The average income however is only slightly higher than London average. This is indicative of the character of W10. Some parts of it are very affluent and some parts tend to be more filled with local authority housing and lower income households. Some time back it used to be seen as a cheaper alternative to live to some of it's neighbours like Notting Hill or Maida Vale. Nowadays Ladbroke Grove is one of the more in demand affluent areas of London. W10 is not a very green postcode, especially compared to some of it's neighbours that have either access to Queen's Park, Hyde Park or Holland Park. Within W10 the only green areas are Kensington Memorial Park, Carmelite Monastery Gardens, Athloe Gardens and Little Wormwood Scrubs Recreation Grounds. This however does not mean that W10 is not a nice postcode to live in. The locals do have access to the neighbouring Wormwood Scrubs which is land designated as nature's reserve approximately half the size of Hyde Park. Beyond that the canals running through W10 provide plenty of opportunity for walks and bike rides surrounded by the beautiful scenery surrounding the canals and leading down to Little Venice. W10 is also very well connected with Latimer Road, Ladbroke Grove, Westbourne Park and Kensal Green station are both easily accessible. These all provide access to Circle, Hammersmith & City and Bakerloo tube lines as well as the Overground trains. The number of bus lines running through the postcode is also higher than the average London postcode. These bus lines connect W10 with the city centre very well and commuting to Central London, Knightsbridge, Holland Park or similar areas is very quick. If we start in the Northern corner of W10 we'll find ourselves in Kensal Town. This is the only part of this postcode located north of Harrow Road. It is mostly filled with two types of households. Larger houses can be found around the Queen's Park Gardens area and the rest of postcode is filled with terraced houses built in the mid 20th century. Compared to the rest of W10 this area is slightly less affluent. It is however still a great target for leaflet distribution since the households include families with children and they are all very easily deliverable. This level of penetration is perfect for local businesses like restaurants. If we move south of Harrow Road and past some of the industrial buildings right below it we find ourselves in the western part of W10. It is largely filled with council estates and hard to reach apartment buildings. These are mostly excluded from our mapping system which allows us to focus on the more desirable parts of the postcode. Some of the best parts of W10 outside of Kensal Town can be found North of the Larbdroke Grove station. Most of the roads here are lined with Victorian Terraced houses. These are generally split into multiple households but all of them are still easily reached with leaflets. This part of W10 is very much in line with what one would expect from it's southern neighbour W11 or Notting Hill. There are some stairs to battle here but our distributors are well prepared for this and in planning our distribution rounds we make sure that none of our workers get overloaded with physical challenges. A postcode like W10 is a perfect example of why a good mapping system is indispensable when planning a leaflet distribution campaign. We make sure to exclude all businesses, local authority and hard to reach blocks of flats. This allows us to provide you with accurate figures and ultimately save you money by running deliveries only in desirable and deliverable places. We have spent a considerable amount time mapping out each postcode in London to provide all our clients with the most accurate figures and breakdowns of each area. 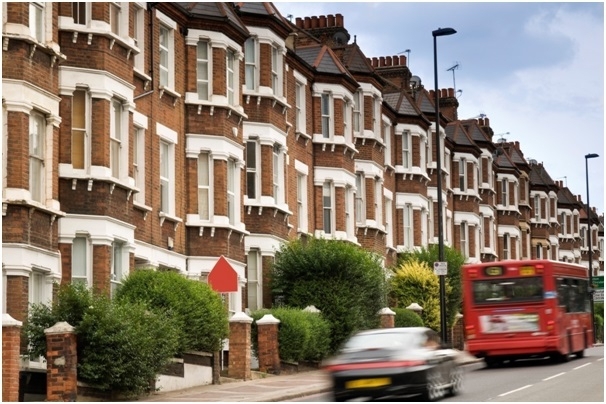 W10 specifically benefits from careful elimination of council housing from the system and clever batching of areas that provide our clients with access to somewhat homogeneous demographics. Ladbroke Grove is also very close to out original location in NW10 from which the company was founded and as such it was one of the first postcodes that we delivered to. We think of it as our home postcode in many ways. As such we have accumulated years and years of experience navigating this area and this allows us to provide the most effective leaflet distribution services available in W10. We also make sure that we have some rules in place to not only delivery to the right properties but also deliver your leaflets in perfect shape. We do not deliver in the rain, we never fold the leaflets unless we have to (some properties have particularly small letterboxes) and we actively discourage our Private Postmen and women from delivering too many leaflets in a single day. Even the most attentive and hard-working person will inevitably start making mistakes after delivering for too many hours. We make sure to help our distributors with the planning of their routes and techniques to save time while delivering to make sure that there is no need for long epic sessions of grueling distribution that lead to mistakes. We also do our best to assign work to people as close to their homes as possible. This way travel time and costs become much less of a factor leading to distributors choosing to take on reasonable amount of work every day. Happy workforce makes for good results.